Today I’m pleased to announce the general availability of the new Word, Excel and PowerPoint apps for Android phone. These join our previously released Office apps for Android tablets to complete the Office experience for the millions of Android users around the world. 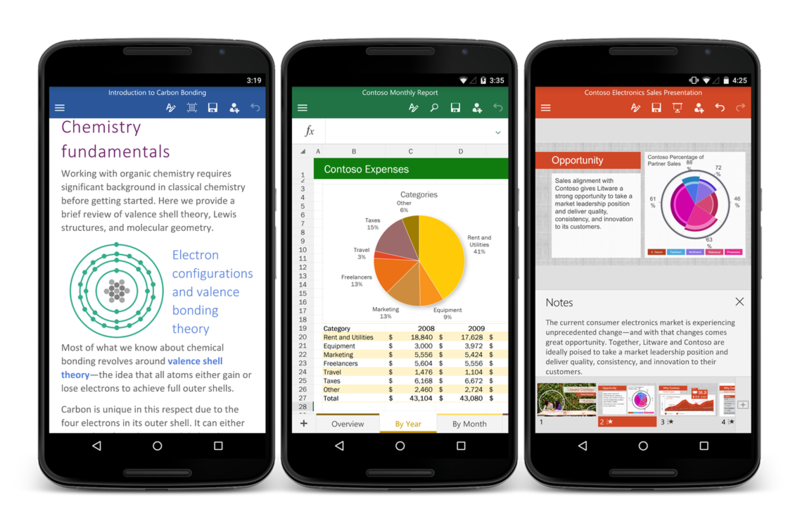 Download Word, Excel and PowerPoint on your Android phone today to get started. 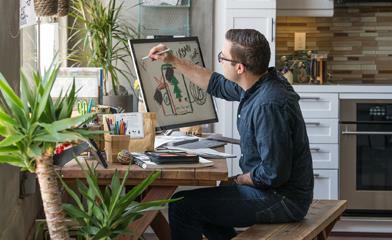 Five weeks ago, we announced the Office for Android phone preview. We are so grateful to our preview users, and with their help we were able to test the apps on over 1,900 different Android phone models in 83 countries. During the preview, we heard from thousands of these users, and over the last few weeks we were able to incorporate a lot of their feedback into the apps we’re launching today. For example, we made it easier to connect to other popular third-party storage offerings like Google Drive and Box, as well as many usability adjustments to make it easier to navigate commands within the apps. You can download the Word for Android, Excel for Android and PowerPoint for Android apps from the Google Play* store beginning today. We hope you enjoy using them as much as we enjoyed making them. *Word, Excel, PowerPoint apps are available in the following app stores in China: Tencent, Baidu, Xiaomi, CMCC, and through the Samsung Galaxy Store worldwide.